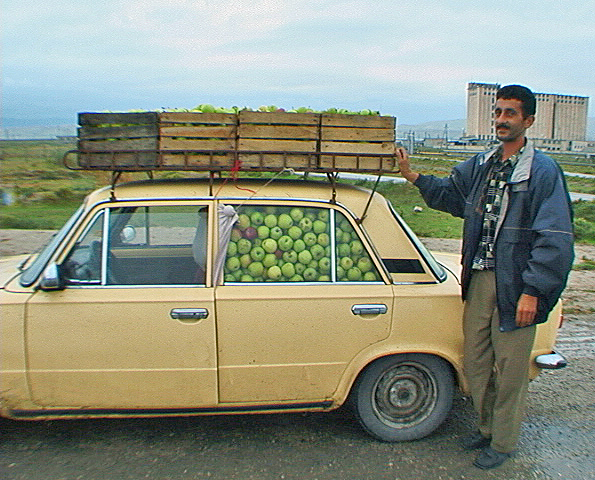 Azerbaijan, Apples In Car, 2000 - This enterprising man was determined to take full advantage of the space his car had to offer in his effort to transport apples. Our car followed him for some time. When he pulled over, I asked him for a photo. I think he was proud of his achievement.